Location – The Mandalay Bay is the first big resort you’ll see if you drive up the strip from the famous Welcome to Las Vegas sign. You are a little bit out of the way down there, but not so far that it will ruin your trip. Plus, this puts you just up the street from the spectacular Bali Hai Golf Club, if that is the type of green you had in mind. The Theme – There is a definite beach-front feel to the Mandalay Bay, which is further enhanced by its daring water elements. They’ve even added a few sharks into the mix, and no, not just the type that are expert card players. 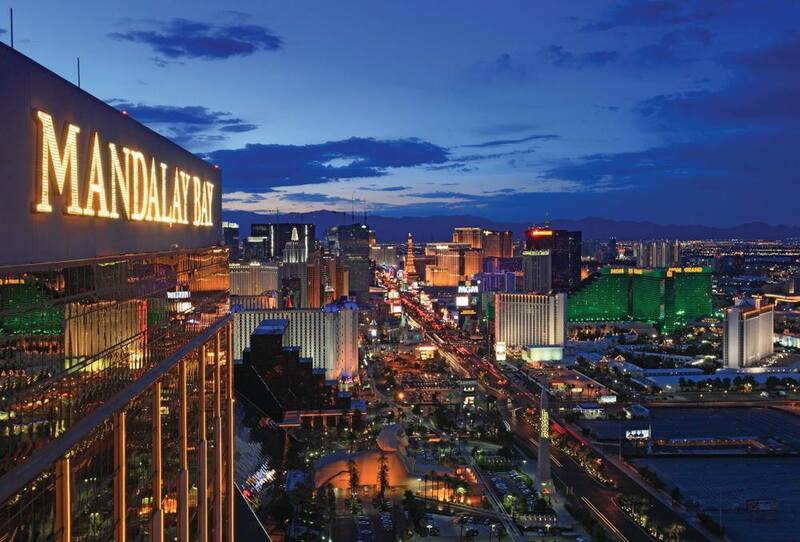 Rooms – There is a cool crispness to the rooms at the Mandalay, both in how they look and the cost. Each is impeccably decorated in a style reminiscent of high end beach resorts, without the glazed shell accents. Depending on when you travel, you should be able to book a room that sleeps 4 comfortably for less than a hundred spot, without having to sacrifice your basic survival needs. Restaurants – Breakfast, lunch and dinner are all covered by a variety of restaurants found inside of the hotel. StripSteak – Michael Mina’s first delve into a steakhouse is a superb success. As with all of his concepts, you can expect to taste only the highest quality ingredients in every morsel. Aureole – The world famous New York restaurant from Charlie Palmer has an equally impressive place inside of the Mandalay Bay. 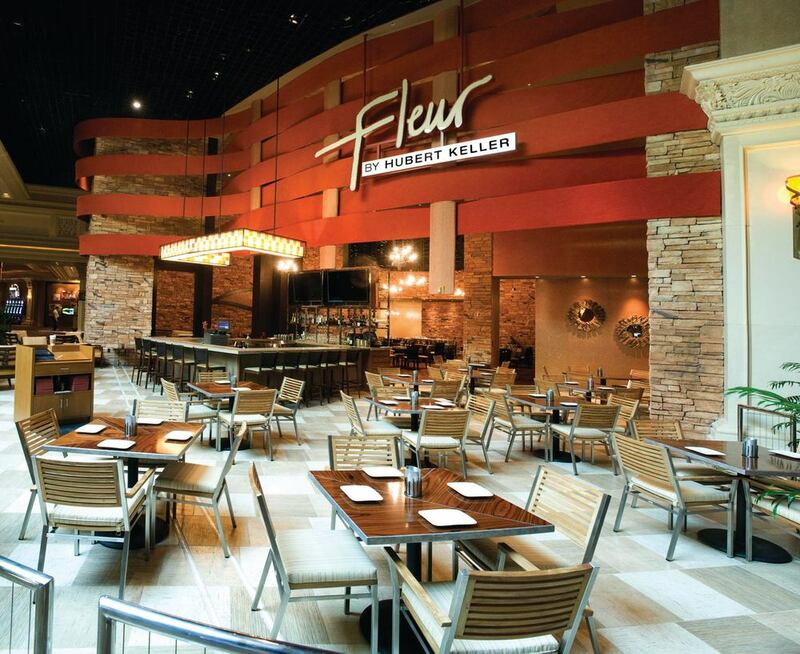 Fleur by Hubert Keller – The master chef takes you to every corner of the globe through a series of small plates. Rivea – Fine French fare meets enticing Italian in a stellar setting brought to you by the internationally respected Chef Alain Ducasse. Kumi – Feast on modern Japanese selections that have been craftily prepared with a distinct Korean-American flair. Libertine Social – Touted as being the next-generation gastropub, Mandalay hot spot brings diners to their knees with an array of dishes that stimulate all of the senses. Charlie Palmer Steak at Four Seasons – Juicy, perfectly flavored, cuts of beef to cut into. There is good reason why Charlie Palmer has been recognized as the best in Las Vegas. RX Boiler Room – Get a new spin on your go-to comfort foods from celebrity Chef Rick Moonen. Della’s Kitchen – A completely unique urban themed restaurant, Della’s Kitchen is ideal for breakfast, lunch and quick, delicious, snacks. Border Grill – Overlooking the resort’s own Lazy River, this Mexican restaurant is a vibrant and bright escape for your tired taste buds. Lupo By Wolfgang Puck – The celebrity of celebrity chefs brings his first Italian restaurant to the Mandalay Bay with the same exquisite taste he is idolized for. Ri Ra Irish Pub – An Irish Pub in Vegas that was actually built on the Emerald Isle? You can’t get any more authentic than that. Red Square – Along with their incomparable selection of Vodkas, you’ll find Red Square to be a sophisticated and innovative dinner destination. Citizen’s Kitchen & Bar – Located at the heart of the resort, Citizen’s Kitchen & Bar serves comfort food that will make your heart sing with joy. Crossroads at House of Blues – Come for the grub, stay for the live music. Crossroads is truly an intersection of incredible food and absorbing entertainment. Seabreeze Café – Be transported to a tropical paradise in this fresh and invigorating environment that begs for you to lay back and enjoy the views. Noodle Shop – Authentic Cantonese and Mandarin dishes are prepared to perfection, and served to you under a blanket of twinkling lanterns. Mizuya Sushi/Sake – A tranquil water setting sets the stage for this daring delve into fresh sushi and traditional sake. 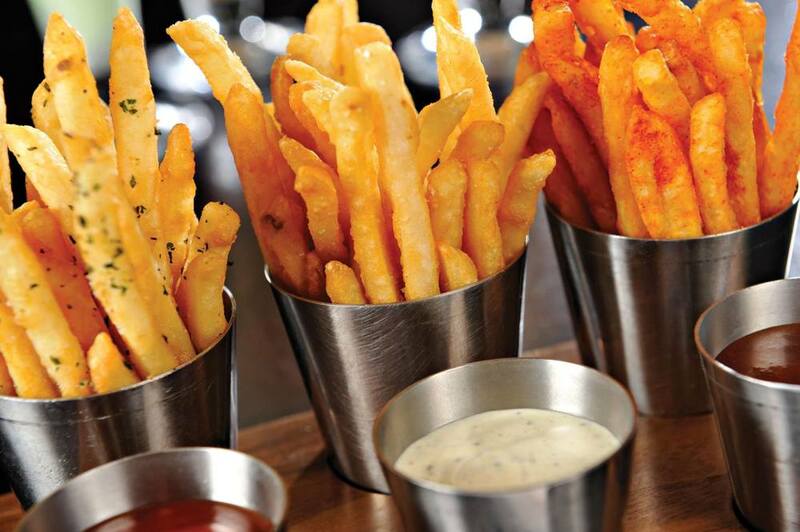 Sports Book Grill – Grab a fully loaded burger and side of fries as you cheer your team to victory in this sports bar found inside the race & sports book. Beach Bar & Grill – A casual dining area by the pool where no one cares if you eat with your bathing suit on. The medley of restaurants in the Mandalay Bay is accompanied by a crisp and clean buffet, coffee shops and ice cream stops to further tease your appetite. Gambling – Not a single trick is missed inside the Mandalay Bay’s casino area. A surplus of slots, all your favorite table games plus a separate poker room give you plenty of ways to wind down your Vegas days. Shows – Not only can you be a part of electrifying concert events inside of the Mandalay Bay Events Center, you can share a more intimate evening with the stars in the House of Blues Music Hall. Fans of the one-gloved wonder will love the trip down memory lane at the critically acclaimed “Michael Jackson One”, which plays inside of its own cozy theater. Clubs and Bars – Cool drinking lounges can be found all throughout the Mandalay Bay, like inside of the frosty Minus5° Celsius. But when you want to turn up the heat, you need to step into the Light. This is a nightclub like no other on the strip, relying on creative lighting and sound effects to enlighten your entire experience. The Day Club – The Mandalay Bay takes its beach theme very seriously, resulting in rivers and pools of enticingly clear water and not 1, but 2 day clubs to jump into. Moorea Beach Club is a risqué poolside retreat, where everything goes including your top. Daylight is the sunshine version of Light Nightclub, taking advantage of the A-list DJ list to keep you hyped all afternoon. Shopping – There is no need to traverse further up the strip when all your favorite upscale designers are in the Shoppes at Mandalay Place. Featured here is a unique collection of boutiques, stores and eateries that can keep the avid shopper busy all day. Other Cool Stuff – There is no beach at the Mandalay Bay, there’s a full scale aquatic playground, complete with sand, waves and a lazy river to glide on. Ditch the three piece for a whole different type of suit if you plan on making the Mandalay Bay your vacation home. Don’t forget to at least walk through the tunnel of the Shark Reef Aquarium, but after taking your swim. Over 2,000 sea creatures are housed inside this enclave, including exotic sharks that you can take turns diving with. Worth the Stay? – Your buck goes far in the Mandalay Bay, especially if you want a Vegas Hotel that you don’t need to stray far from. Everything you could possibly need or want is just an elevator ride away, or you can take the inner tube.